They are a cool weather veggie that can be planted BEFORE your last frost date. They germinate and grow quickly! Sow them directly into your garden. There is no point in buying starts as they grow quickly. Only 30 days until they will be ready for harvest! Once they have sprouted, thin them out so they are about 2-3 inches apart. 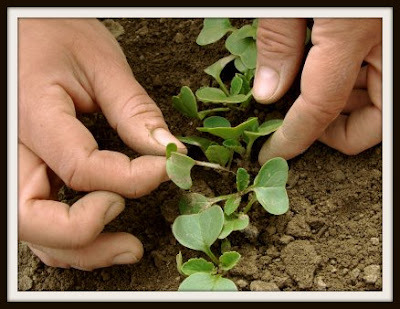 Try planting a few new seeds every week so you don't end up with all your radishes ready for harvest at once. Keep them moist to avoid losing that "radish crunch". I'm afraid that worms do love radishes. 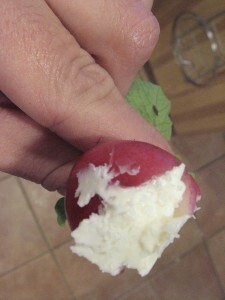 You may find holes in your radish leaves, or in the actual radish. A few holes in the leaves isn't a problem, holes in your radish is. To prevent this you can try covering your radishes with a "floating row cover". This will also keep your radishes from over-heating. 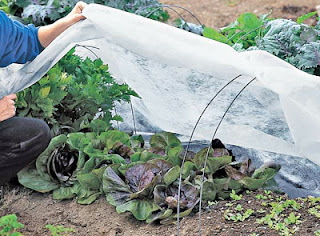 You can find a floating row cover at most garden stores (click the image to view more info. You could also try using cheesecloth. 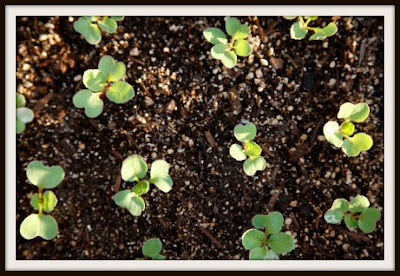 Other tips: when planting the seeds use epsom salt, wood ash, or coffee grounds, and place in the row next to the seeds. They have shallow roots, so that you can grow them in containers. They do not like temperatures above 75 degrees. If you're a lucky duck soaking up 75 degree weather, you should grow your radishes in a location that receives a "cooler" sun (morning or partial sun). 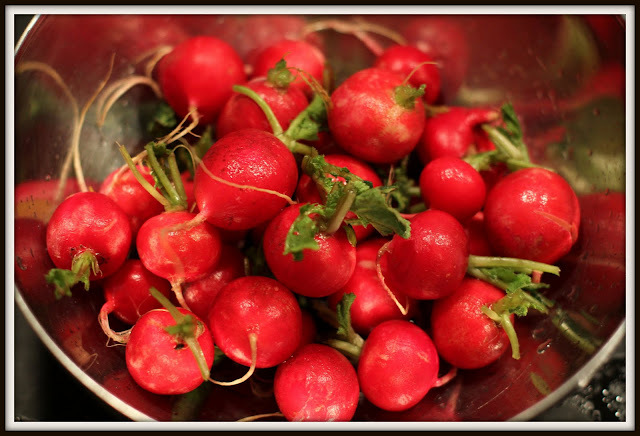 You can harvest radishes whenever they look ready. The longer you leave them in the soil the more spicy (but spongy) they will become. If your radish "bolts" or shoots up a long stem with a flower, you've lost her. This most likely happened because the weather was too warm or you did not provide enough water.